Our Students going Ape for Charity! Posted on 6th December 2016 at 2:21 pm. Two of our Student Rooms 4 U tenants are involved in some amazing international charity work. Thomas and Katharyn from our property in Queen Anne Terrace will be travelling to Uganda next summer to spend a week trekking in search of some of the last remaining silverback mountain gorillas in the world. Following this thrilling wilderness experience they’re then planning to spend two weeks volunteering to help an organisation called East African Playgrounds (EAP) to build a playground for a local Ugandan school. EAP uses their playground building and installation programmes to also provide training and employment programmes for local people. Katharyn and Thomas have been working hard to raise the money needed to fund their incredible trip. 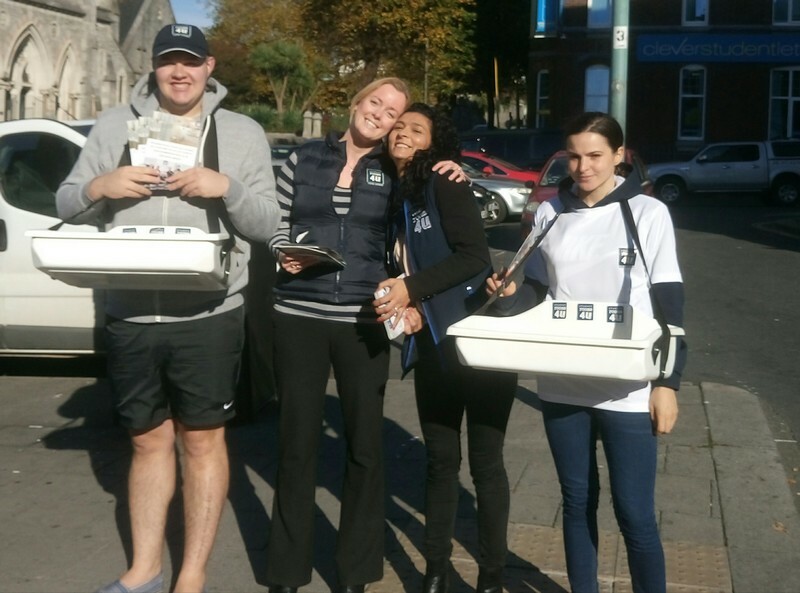 As part of their efforts they have been working for us as part of our Student Rooms 4 U promotional team, handing out information and delicious cakes, in exchange for our support for their project. We wish them both well with both their fundraising efforts and their incredible trip. We’re looking forward to seeing pictures of their adventures and achievements!